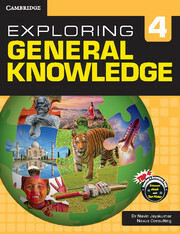 Exploring General Knowledge helps learners effectively use the information available to us through multiple sources. 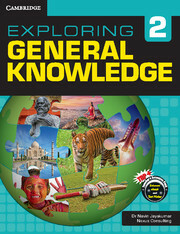 Exploring General Knowledge deals with general knowledge and life skills. The series aims to help the students and learners: effectively navigate in the ocean of information available to us through multiple sources. The books draw on the vast experience of the authors and their constant interaction with the learners, parents and teachers. 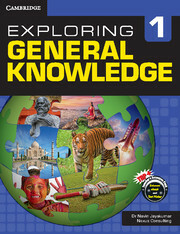 The book takes the concept of general knowledge beyond knowing the answers to trivia and quizzes. They have aptly focused on important contemporary life skills and etiquette, which are necessary tools for the students to apply the knowledge and information made available to them in real-life situations. Interactive approach: The series follows an interactive approach with emphasis on application of the concepts through interesting activities. Each book is properly graded within and across the levels. Each chapter starts with a quote that introduces the chapter in an interesting way, enough to arouse their curiosity. 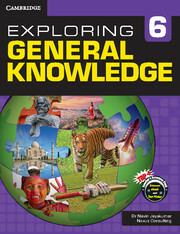 The series uses interesting activities, puzzles, and crosswords to engage learners. The Did You Know provides interesting snippets related to the topic. Language Time explains difficult words and focusses on idiomatic usage of interesting terms.